Our practice specializes in cutting edge treatment of periodontal (gum) disease and cosmetic procedures to aesthetically enhance your smile as well as dental implants that can replace single or multiple missing teeth. We strongly believe that our patients' comfort is an important part of quality dental care. We work very close as a team with your referring dentist, but a referral by a dentist is not required for a visit to our office. We welcome referrals from patients and friends of the practice. 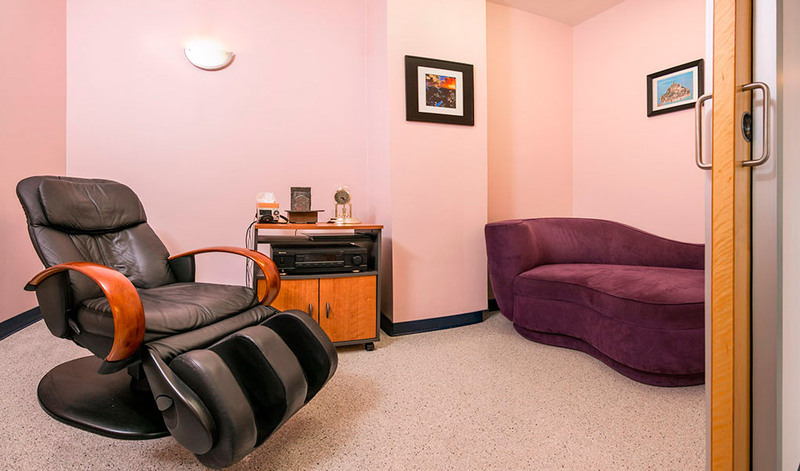 Our dedicated aromatherapy relaxation room equipped with a full-body massage chair and music system offering over 100 channels of digital satellite radio will help you relax after your dental implant or periodontal procedure. The number one reason patients choose our practice is to receive most advanced periodontal and dental implant procedures that will help them achieve great health and a superior smile. We are very proud to have a stellar team of staff members. 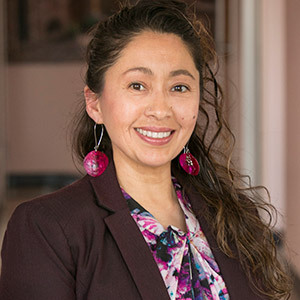 Consuelo has a diverse experience working as a dental assistant, dental insurance representative and a front office administrator. Consuelo's main focus is to ensure every patient receives excellent care and customer service. Her exceptional communication and organizational skills help provide each patient with a clear understanding of their treatment plan. Consuelo assists our patients through scheduling, financial matters and insurance questions. 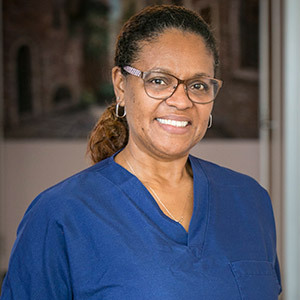 Luda joined the team after working for over a decade at a premier San Francisco cosmetic and restorative dentistry practice of Dr. Jerry Bellen. After Dr. Bellen's retirement, Luda's transition to surgical practice was seamless as she had an opportunity to see our treatment results first-hand and was very excited to help in actual surgical procedures. 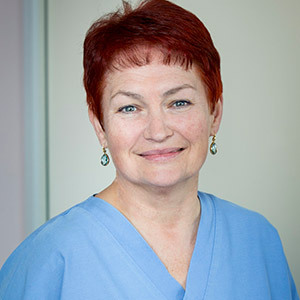 Maria has worked with Dr. Berkovich for more than a decade. Her loyalty and dedication translates into excellent patient care and comfortable environment. Maria loves challenges and constantly improves her skills by keeping up with continuing education. If you have any questions about your treatment or the types of services we provide that you would like answered before you visit, please feel free to contact us. 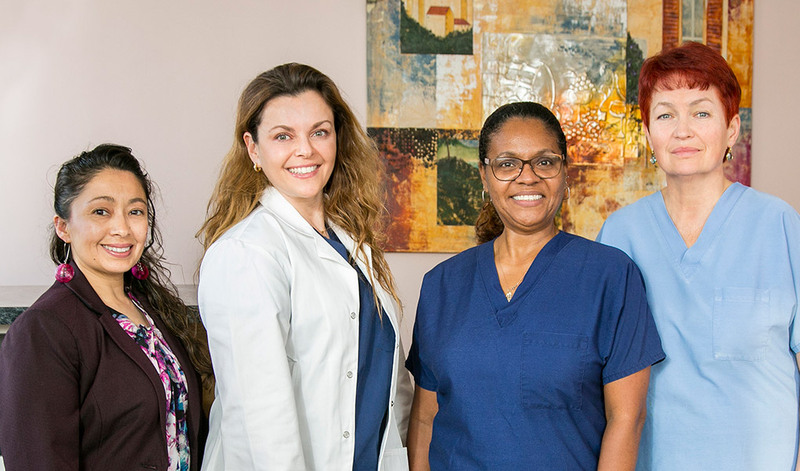 The San Francisco Center for Periodontics and Dental Implants team looks forward to meeting you and putting you on the path to the perfect smile.